This is a Record Store Day 2019 item. Ltd to 8500 copies worldwide 3LP set. A fresh perspective on some very familiar repertoire, for the 50th anniversary of Woodstock, Rhino.Atlantic release a 3LP mono vinyl offering, which if you’d been in the audience at Woodstock, this is exactly what you would have heard coming out of the loudspeakers! The tracklisting follows the same tracks/sequence as the original Woodstock OST (Featuring performances by Arlo Guthrie, CSNY, The Who, Joe Cocker, Santana, Ten Years After, Jefferson Airplane, Sly and the Family Stone, and Jimi Hendrix amongst other legendary artists) and incorporating the stage announcements that were on the album in their original form. 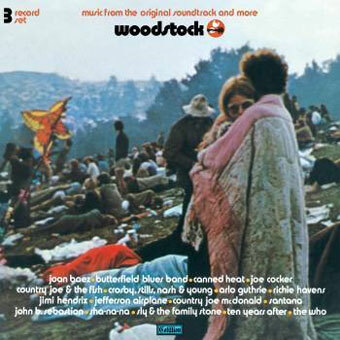 Also featuring actual Woodstock versions of Crosby, Stills, Nash and Young's Sea Of Madness and Wooden Ships that have never been issued before and this version of Arlo Guthrie's Coming Into Los Angeles is the actual real-deal Woodstock performance; the version that’s on the original Woodstock album was recorded at the Troubadour in LA four months later!